Qualcomm and partners such as Ericsson have been developing 5G for commercial use in (hopefully) 2019. 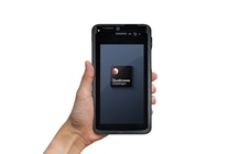 The two companies have conducted data call tests for the latest release (15) of the 3rd Generation Partnership Project (3GPP) using the new Qualcomm X50 modem. 5G, also known as 5G New Radio (5G-NR), is the next big thing in mobile data standards. It has the potential to be much faster than 4G, and also comes with new band types called millimeter-wave, or mmWave. mmWave may be capable of frequencies of at least 6 gigahertz (GHz). 5G-capable modems also have a new standard specification called the 3rd-generation Partnership Project (3GPP). Qualcomm is working with other companies such as Ericsson to bring its new 5G-ready X50 modem to the market. In Ericsson's case, it is bringing its commercial 5G radio (the Air 5331) and radiofrequency subsystems to this project. Most recently, this endeavor has resulted in successful data call tests using these products in conjunction with the 39GHz mmWave band. This breakthrough took place at Ericsson's Sweden-based lab, which is equipped with pre-commercial 5G-NR base stations. The test was completed using a kind of reference device with the X50 modem built in. This report is the best indication yet that 5G is on track for general availability soon. Currently, Qualcomm project that this may be realized by "early 2019". Furthermore, it may confirm that there will be at least one mmWave band available to devices in which X50 modems are installed. Therefore, consumers with next-generation mobile devices in mind may be in line for blazing-fast mobile data speeds.